Geneva, Jan. 22, 2019. 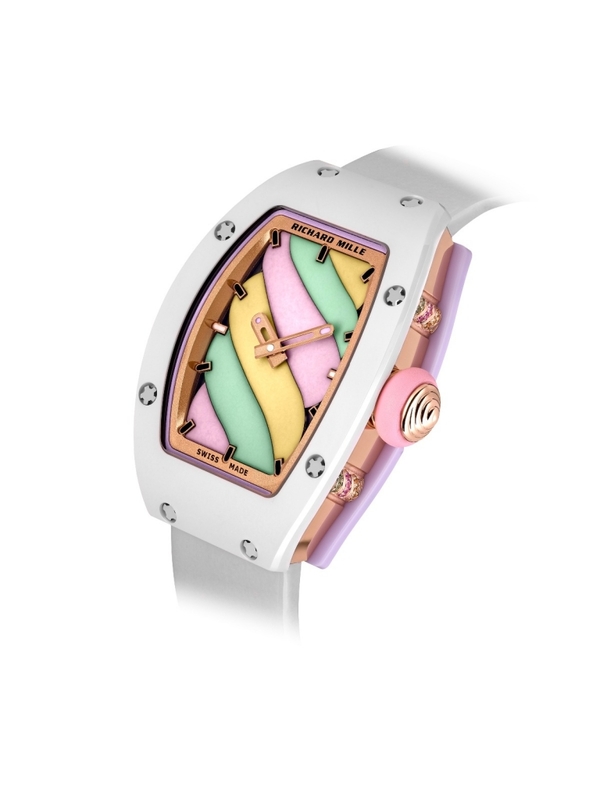 Get your sugar buzz without letting a drop of the sweet stuff hit your lips through Richard Mille’s new Bonbon collection. 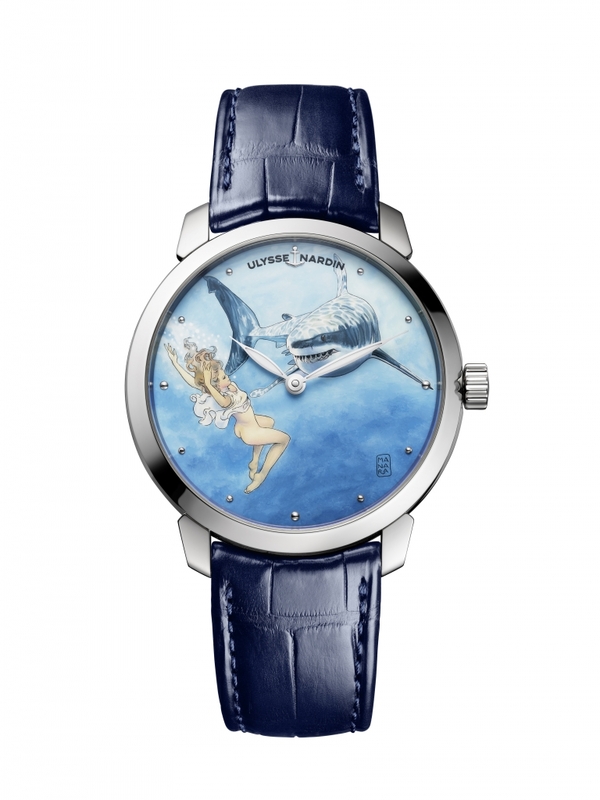 The watch brand known for its technically super-charged luxury models tapped newer artistic director Cécile Guenat, daughter of Richard Mille’s friend and business partner Dominique, to bring these playful pieces to life. 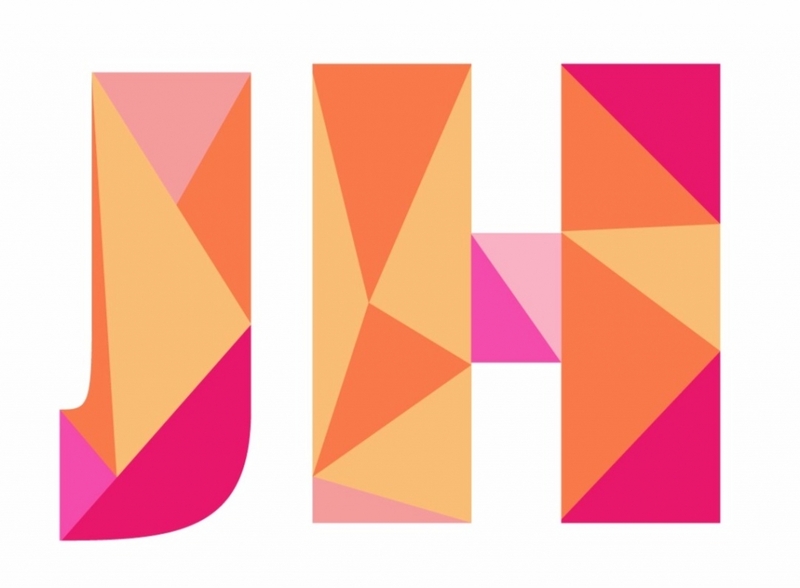 It’s a departure, for sure, for the brand typically known for more serious styles. Remember its RMOOI? The gem-free number was exceptionally engineered, and its 80 units sold out almost immediately for around $180,000 apiece upon debut. Bonbon, meanwhile, is also virtually gem free but manufactured to make smiles and disrupt the market and mindset of typical luxury watch buyers. The Citron watch from Richard Mille’s new Bonbon collection. For purchase, see the brand’s store locator tool. Cerise ring from Richard Mille’s new Bonbon collection. Ten models based on the iconic RM 07-03, RM 16-01, and RM 37-01 are limited to 30 pieces each and are made in 60 different colors of Carbon TPT and Quartz TPT ceramic cases. Tiny candy and pastry and fruit motifs (four and six, respectively) are on display. 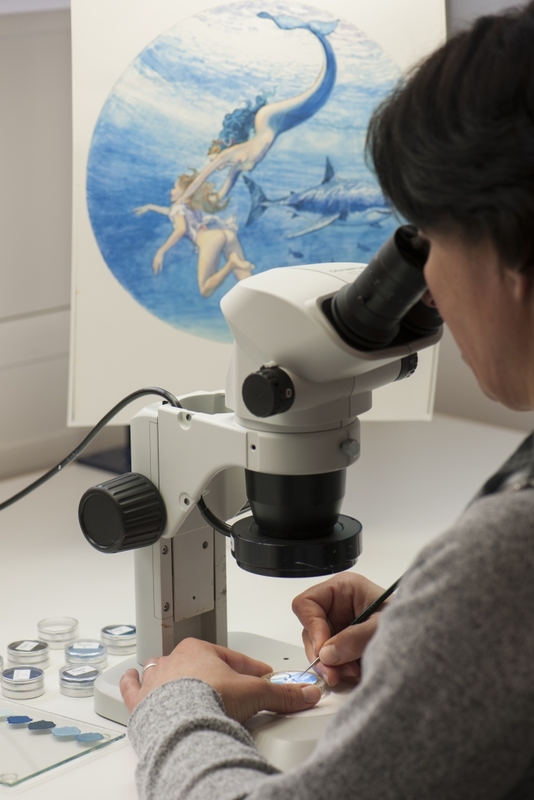 Guenat’s jewelry training is evident in 3,000 of these miniature sculptures that are painted in acrylic and lacquered by hand, with a sugar-coated effect achieved through powdered enamel and the fine sand seen in hourglasses. The Richard Mille booth at SIHH this year celebrate its new Bonbon collection. 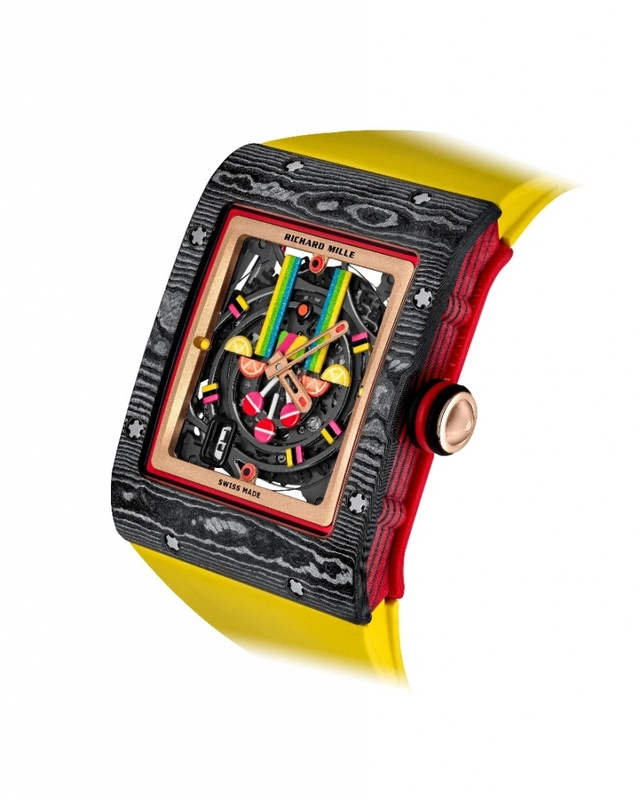 “Through our Kongo artist collaboration, Richard Mille learned to work with paint,” observed a representative during the press presentation, held in the brand’s booth. 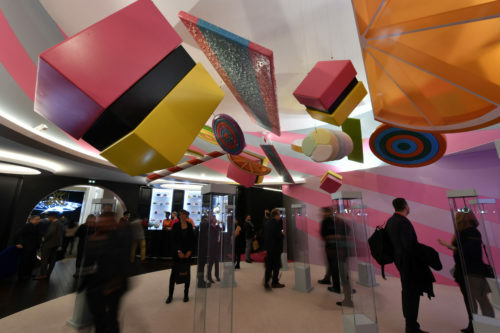 The booth doubled as an offshoot of Dylan’s Candy Bar, with oversize candy fixtures hovering like clouds above buyers’ heads. 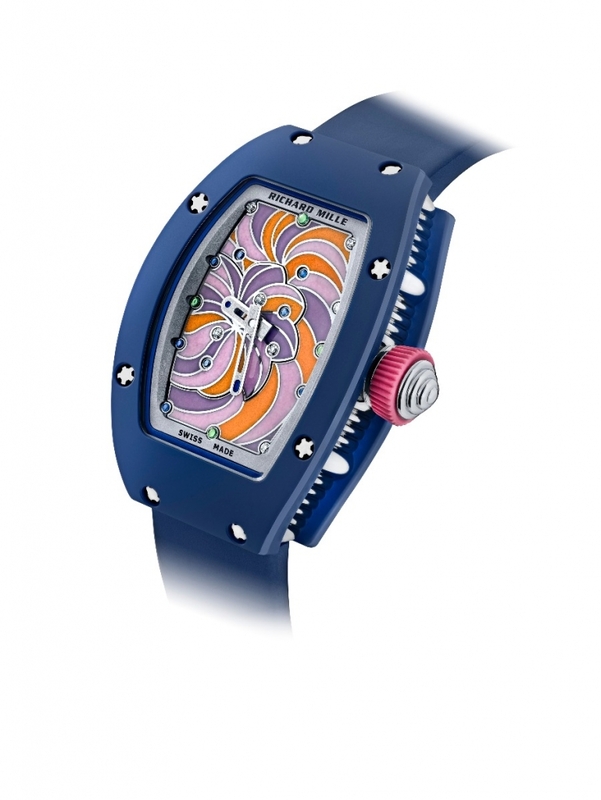 Fraise model from Richard Mille’s new Bonbon collection. Grand fire enamel, too, plays a role in production and helped the marshmallow watch achieve its pillowy 3D-like look. “To keep the puffy quality, we painted each section separately and built up the paint levels higher,” added the rep. Some of the acrylic brushes used to hand paint the watches have just one or two hairs. 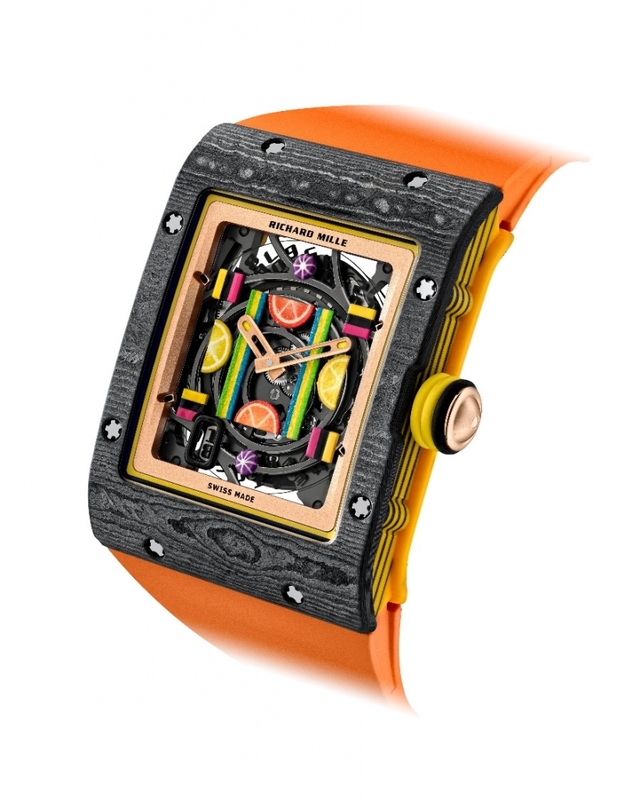 Cupcake model from Richard Mille’s new Bonbon collection. Playful features abound. A sweet cupcake watch features ribbed sides mimicking those found on liners, with a miniature icing-topped muffin finishing off the crown. Citrus slices—lemons and oranges—dot dials in several fruit variants, while mesmerizing lollipops and candy peanuts perch from prominent places on more faces, and a black licorice coil consumes the center of the Réglisse. Then there’s the Marshmallow model—a clear favorite among the press corps for its über whimsical vibe—that is made in the likeness of Marpoles Marshmallow Candy Twists. Marshmallow watch from Richard Mille’s new Bonbon collection. The cost to own one of these sweet pieces? They come calorie free in the $122,500 to $158,000 price range. Pocatello, Idaho. Jan. 7, 2019. Like many in the industry, Brecken and Jonathan Farnsworth were moved when they watched the 2015 documentary Sharing the Rough. 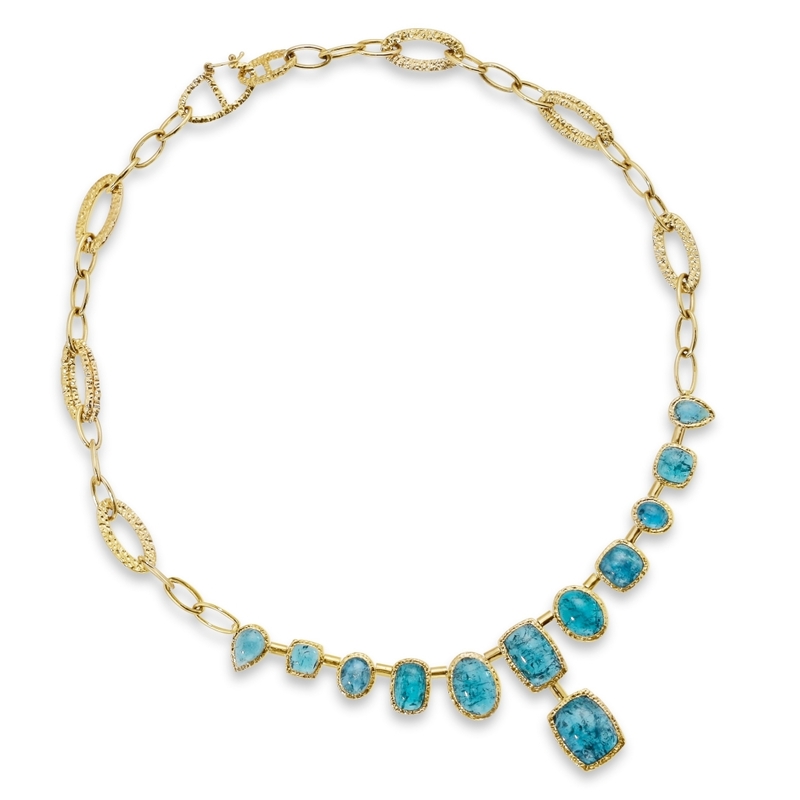 The owners of Parlé Jewelry Designs were also friends with producer Orin Mazzoni, who has family in the jewelry industry, so when he expressed interest in a collection that would help bring the film to life, the Farnsworths—whose company motto is “Stones That Speak”—knew they could accomplish the task. The pair were already offering stones—including myriad colors of garnet—from East Africa, so the challenge would be in telling the story of the stones in a more specific way as well as designating a portion of sales to a charity that would ensure the funds would benefit the communities mining the gems. The Farnsworths became aware of the Devon Foundation, a charity organized by jewelry store owner Nancy Schuring of Devon Fine Jewelry in Wyckoff, N.J., who had visited East African mine sites and even appeared in the film! Schuring was already funneling funds for education and meals to those living in mining regions, so they elected to give their collection proceeds to the Devon Foundation to distribute. One of the beneficiaries? The Kitarini Primary School located in Tanzania near the Kenyan border. 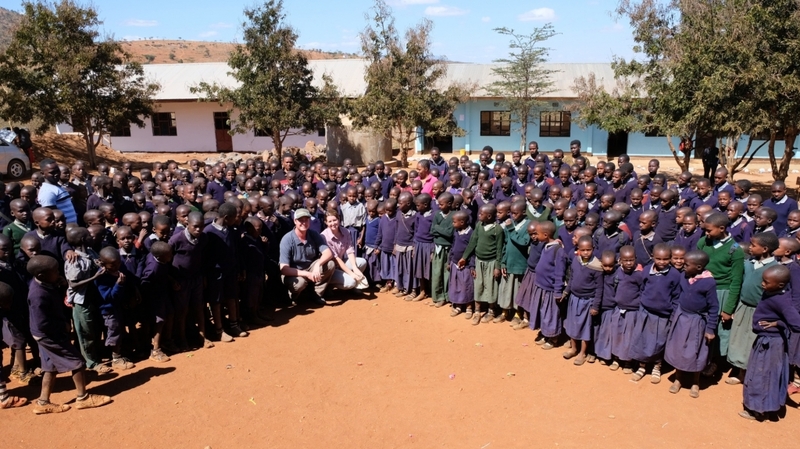 The school serves the children of the area’s Masai tribe. 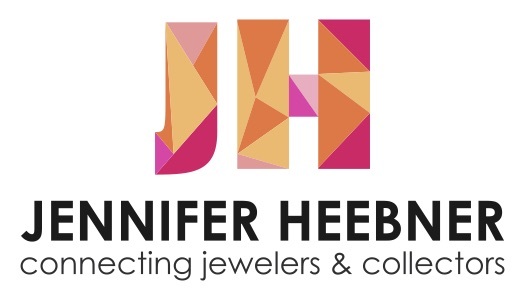 Five percent of wholesale dollars of the Farnsworth’s Sharing the Rough jewelry collection benefits Kitarini, helping to provide meals, books, uniforms, and more to elementary-age students. Retailers who carry the collection are encouraged to match monies. For a firsthand look at Devon’s efforts, the Farnsworths visited the school in September, afterwards pledging “to give $15,000 to the Foundation,” explains Brecken. Jonathan and Brecken Farnsworth visited the Kitarini Primary School in September to see how proceeds from sales of their Sharing the Rough jewelry collection would be utilized. 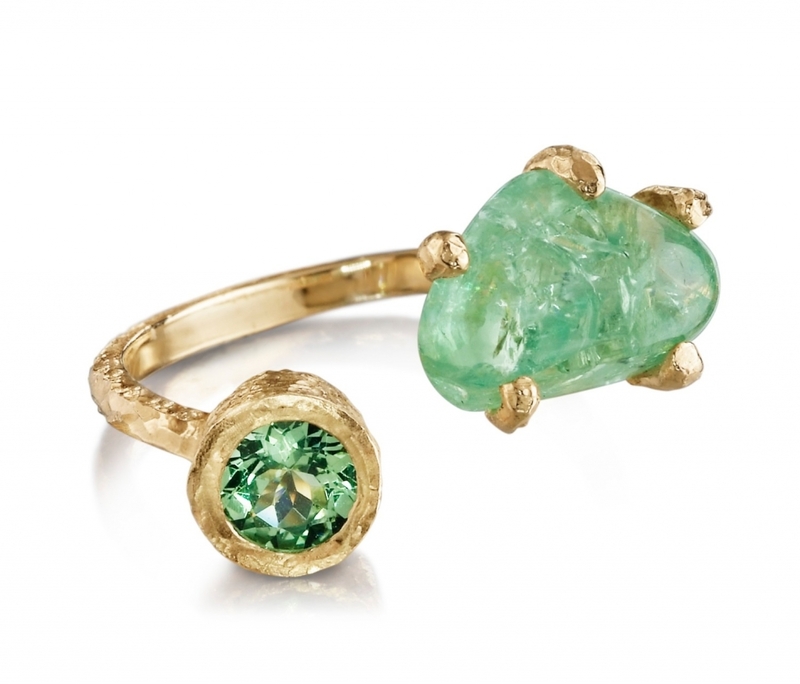 As for the Sharing the Rough jewelry collection, which is sold by retailers nationwide, it features mixes of uncut and faceted gems to reveal the transformation of the stones. Collection-wide, styles have a hand-hewn look and are carved in wax for authenticity. 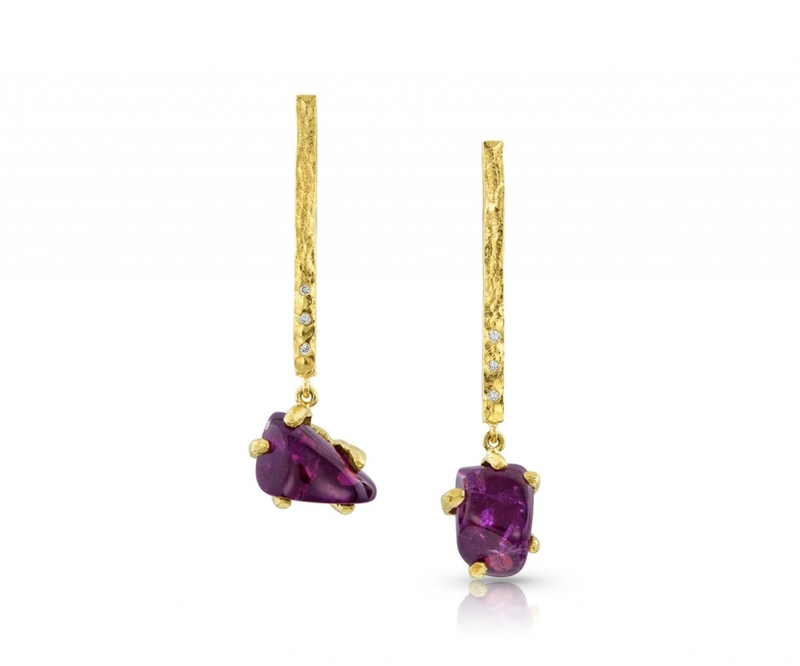 Gems include Lotus garnet (a pink stone) as well as rhodolite, mandarin, tsavorite, and mint Merelani garnets. “We’re expanding offerings and increasing style selections for 2019,” adds Brecken. Retail prices start at $595. 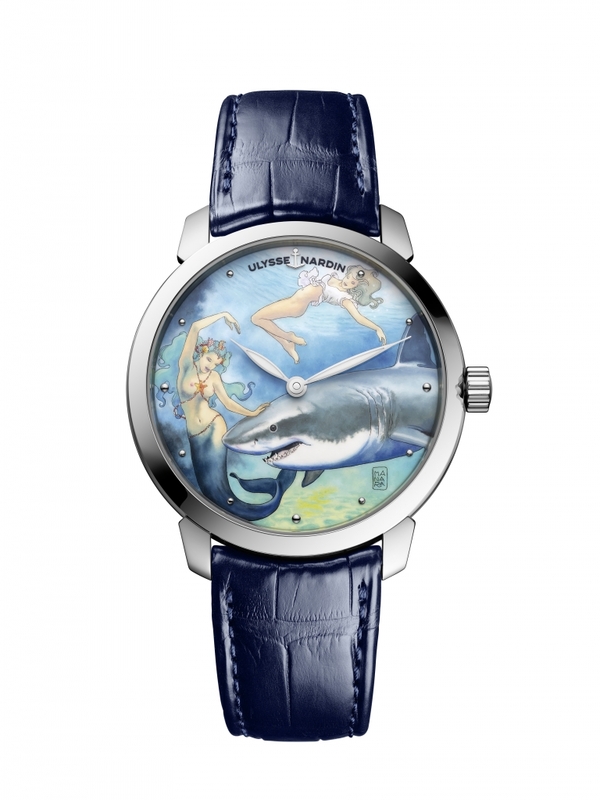 Want to learn more about Parlé’s involvement? 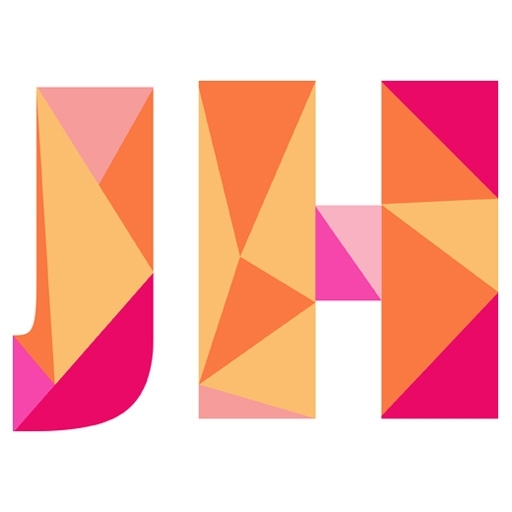 Check out their podcast Gem Junkies on iTunes and queue up episode no. 11, “Journey to the ‘Rough’, What Happens in Tanzania,” when they had just returned from Africa in September. Los Angeles. Jan. 3, 2019. 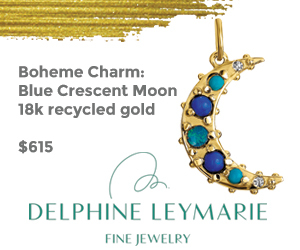 Gemstone junkie Irene Neuwirth’s love affair with color rages on, though you wouldn’t know it from her new Flat Gold jewelry collection. 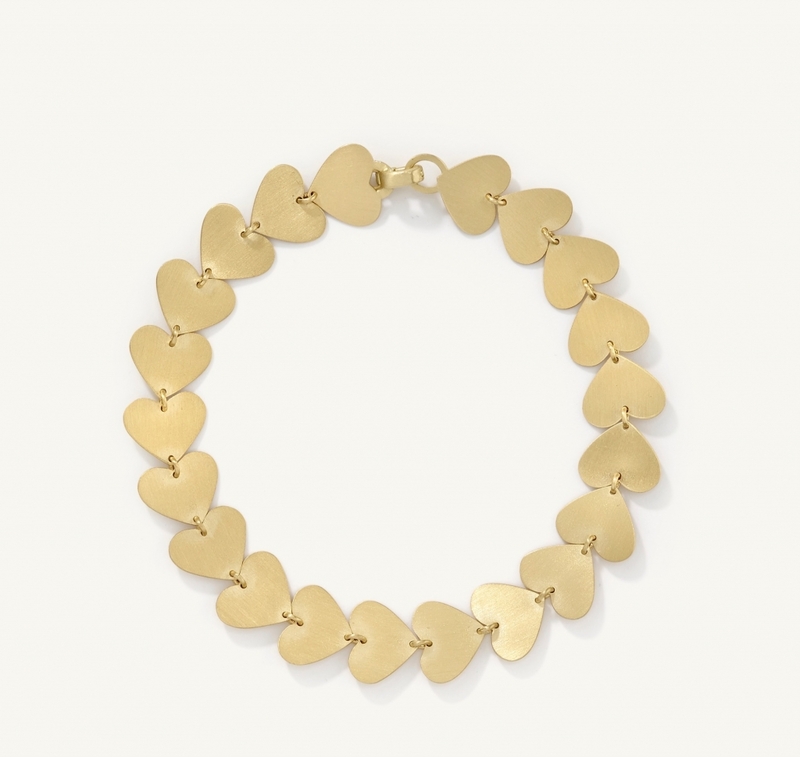 It features girly-glam looks like hearts, bows, and horses, but without a gemstone in sight. That’s right—no opal hearts, white pearls mixed with turquoise cabochons, or fire opals married to a dozen other gemmy-delish and freeform-in-appearance stones. 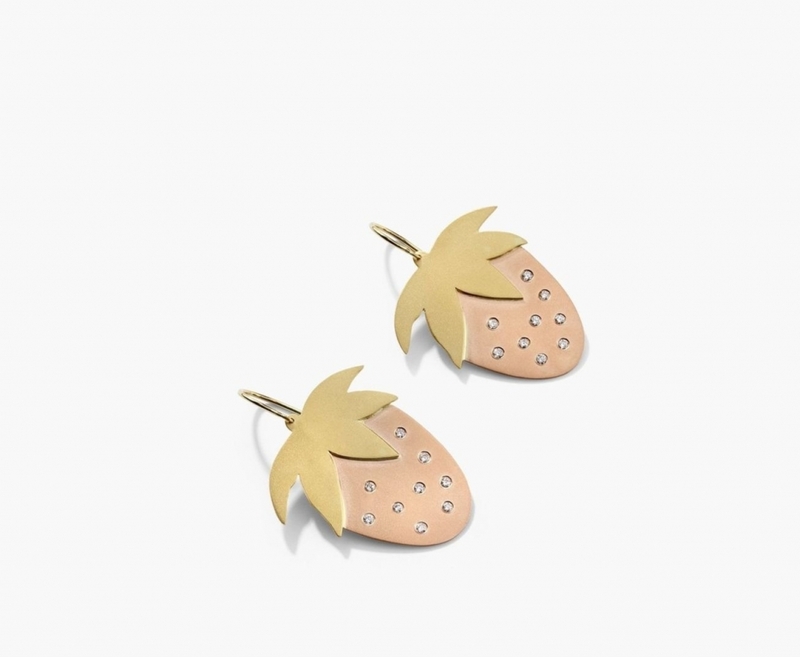 These are, after all, the lighthearted driving force of this Los Angeles-based designer’s design repertoire. 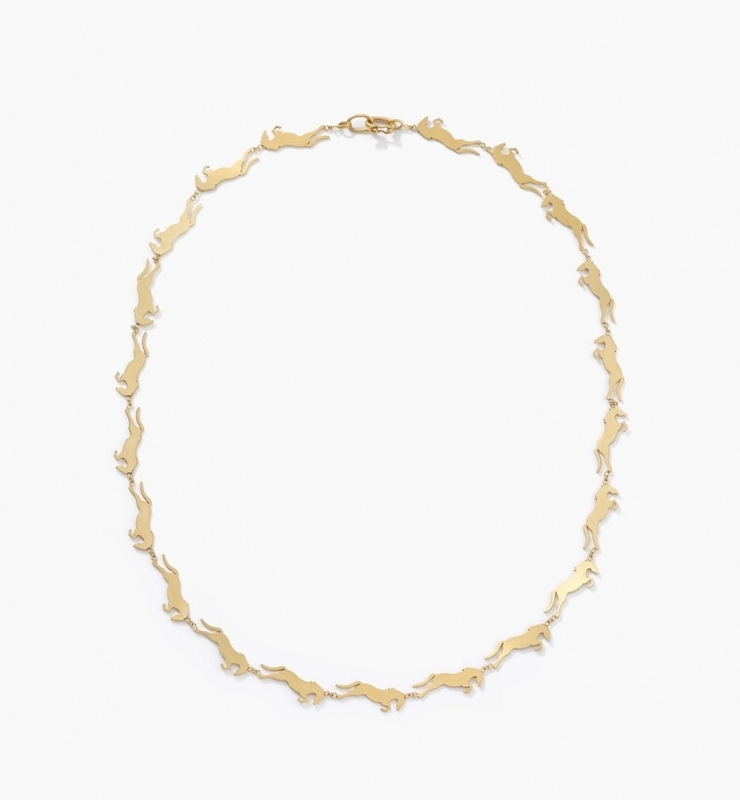 But, like the name suggests, Neuwirth’s new collection is mainly flat and gold. Period. Neuwirth dishes that she’s had some of the styles in mind—and in her collection—for more than a decade, though a new crop of horizontal cuties debuted this fall. To date, 36 looks are available in 18k yellow, rose, and white gold. While some have diamond and pearl accents, most are level and free of surface adornments. Why? Neuwirth wants to stay nimble. Expect flat gold flowers (Yay!) next and find all the pieces—ranging in retail price from $680 to $19,460—in the Irene Neuwirth boutique in Los Angeles and online. Meanwhile, her biggest accolade to date doesn’t come from a celebrity or revolve around a certain motif; it has to do with the collection’s absence of gems—Neuwirth’s signature.